Youngest of five children born to Don Pedro Calasanz and Donna Maria Gastonia. His mother and a brother died while he was still in school. Studied at Estadilla, at the University of Lereda, at Valencia, and at Alcala de Henares. Obtained degrees in canon law and theology. His father wanted the Joseph to become a soldier, to marry, and to continue the family, but a near fatal illness in 1582 caused the young man to seriously examine his life, and he realized a call to the religious life. Ordained on 17 December 1583. Parish priest at Albarracin. Secretary and confessor to his bishop, synodal examiner, and procurator. Revived religious zeal among the laity, discipline among the clergy in a section of the Pyrenees. Both his bishop and his father died in 1587. Vicar-general of Trempe, Spain. Following a vision, he gave away much of his inheritance, renounced most of the rest, and travelled to Rome, Italy in 1592. Worked in the household of Cardinal Ascanio Colonna as thelogical advisor for the cardinal, tutor to the cardinal's nephew. Worked with plague victims in 1595. Member of the Confraternity for Christian Doctrine. Tried to get poor children, many of them orphans and/or homeless, into school. The teachers, already poorly paid, refused to work with the new students without a raise; in November 1597, Joseph and two fellow priests opened a small, free school for poor children. Pope Clement VIII, and later Pope Paul V, contributed toward their work. He was soon supervising several teachers and hundreds of students. In 1602 they moved to larger quarters, and reorganized the teaching priests into a community. In 1612 they moved to the Torres palace to have even more room. In 1621 the community was recognized as a religious order called Le Sciole Pie (Religious Schools), also known as the Piarists, or Scolopii or Ordo Clericorum Regularium Pauperum Matris Dei Scholarum Piarum or Order of Poor Clerks Regular of the Mother of God of the Pious Schools; Joseph acted as superior of the Order. The community encountered many obstacles - Joseph's friendship with the astronomer Galileo Galilei caused a stir with some Church officials. Some of the ruling class objected that to educate the poor would cause social unrest. Other Orders that worked with the poor were afraid they would be absorbed by the Piarists. But they group continued to have papal support, and continued to do good work. In his old age, Joseph suffered through seeing his Order torn apart. He was accused of incompetence by Father Mario Sozzi, who was chosen as new superior of the Order. Sozzi died in 1643, and was replaced by Father Cherubini who pursued the same course as Sozzi, and nearly destroyed the Order. A papal commission charged with examining the Order acquitted Joseph of all accusations, and in 1645, returned him to superior of the Order, but internal dissent continued, and in 1646 Pope Innocent X dissolved the Order, placing the priests under control of their local bishops. The Piarists were reorganized in 1656, eight years after Joseph's death. They were restored as a religious order in 1669, and continue their good work today. Son of King Louis VIII and Blanche of Castile. King of France and Count of Artois at age eleven; his mother ruled as regent until he reached 22, and then he reigned for 44 years. Louis made numerous judicial and legislative reforms, promoted Christianity in France, established religious foundations, aided mendicant orders, propagated synodal decrees of the Church, built leper hospitals, and collected relics. Married Marguerite of Provence at age 19, and was the father of eleven children. Supported Pope Innocent IV in war against Emperor Frederick II of Germany. Trinitarian tertiary. Led two Crusades and died on one. Third child born to Felipe Cabanillas and Francisca Antonia Luján Sánchez. Raised in a large, wealthy and pious family; she had ten siblings, three of whom died in childhood, one brother became a priest, three sisters nuns. Educated at home and then at Cordoba, Argentina where she studied and helped care for her seminarian younger brother until his ordination in 1853. Maria's father died in 1850, and the rest of the family moved to Cordoba, living near the church of San Roque. Maria stayed at home, helping her mother with the children, maintaining a personal piety and devotion to the Eucharist, working as a catechist, and visiting the poor and sick of Cordoba. Maria's mother died on 13 April 1858. With her family grown or gone, Maria now felt free to pursue her religious vocation, and she entered the Franciscan Third Order at age 37, devoting more of her day to prayer. In 1871 she met Mrs Isidora Ponce de León who was building a Carmelite monastery in Buenos Aires, Argentina. In 1872 Maria moved to Buenos Aries, and entered the monastery on 19 March 1873. For health reasons, she was forced to leave the cloister in April 1874. In September 1874 she entered the convent of the Sisters of the Visitation in Montevideo, Uruguay, but had to leave there in a few months due to her continuing health problems. During this time of turmoil and rejection of her perceived vocation, Maria began again to ponder an idea that had followed her all her life - an education and assistance foundation to help children. Several Franciscans encouraged her, and Father Agustin Garzón offered her a house and his help and contacts. 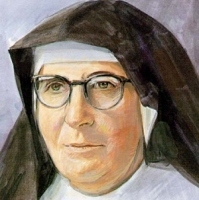 She obtained approval for the project on 8 December 1878, and with her companions Teresa Fronteras and Brigida Moyano, and Bother Cirlaco Porreca as director, she started the Congregation of the Franciscan Tertiary Missionaries of Argentina, dedicated to helping the poor, orphaned and abandoned. The three women made their religious profession on 2 February 1879, and their institute became offically affiliated with the Franciscans on 28 January 1880. The new Congregation met with immediate success in vocations - the Argentinian colleges of Saint Margarite of Cortona in San Vicente, El Carmen in Rio Cuarto, and Immaculate Conception in Villa Nueva were founded during Maria's lifetime. The work, however, ruined her already frail health, and she died within six years. Founded the monastery of Ebchester (i.e., Ebbe's castle or Ebbe's camp) on an old Roman camp on the River Dawent, in County Durham, land given her by her brother Oswiu. Later, during one of the disruptions in the kingdom, Aebbe was captured, but escaped, fleeing in a small boat down the River Humber and out to sea. A supernatural being then sailed the craft safely through dangerous seas till it landed on a spit of land in Berwickshire, defended on three sides by the sea, and on the forth by swampy land. A group of monks, singing in a church that was later renamed for Ebbe, witnessed this, and became some of the first brothers at the large double monastery she founded there. Abbess. Friend of Saint Cuthbert of Lindisfarne, who normally avoided women but came to visit Ebbe. Saint Ethelreda stayed at her monastery as a nun in 672. Peacemaker among the local laity. Though she was noted for her own piety, Ebbe had trouble enforcing discipline at the monastery. The monks and nuns became very lax and worldly. One of the brothers, Adomnan, received a vision prophesying that the monastery would burn to the ground; it did, not long after Ebbe's death. Born to the nobility, the son of Baron William de Cantilupe. Educated in Oxford, England, and in France at Paris and Orléans. Priest. Attended the Council of Lyons in 1245. Papal chaplain. Taught canon law at the University of Oxford, and was chosen the university chancellor in 1262. Diplomat to Saint Louis of France in 1264 during the Barons' War. Appointed Lord Chancellor of England on 25 February 1265. Attended the Second Council of Lyons in 1274. Bishop of Hereford, England, appointed on 14 June 1275 and consecrated on 8 September 1275. Known for his large charity to the poor and his blameless personal life, endlessly involved in both Church and civil matters. Advisor to King Edward I. Following a series of disputes between Thomas and Archbishop John Peckham of Canterbury, Peckham excommunicated Thomas. Thomas travelled to Rome, Italy to put his case before Pope Martin IV, was absolved of wrong-doing, and died in full communion with the Church while on his way back to England. Genesius was an actor who worked in a series of plays that mocked Christianity. One day while performing in a work that made fun of Baptism he received sudden wisdom from God, realized the truth of Christianity, and had a conversion experience on stage. He announced his new faith, and refused to renounce it, even when ordered to do so by emperor Diocletian. Martyr. Bishop of Brescello, Italy, possibly the first in this diocese. Worked as a Red Cross nurse in an Italian military hospital during World War I. Nun in the Salesian Sisters. In 1922 she left Italy for Ecuador and spent the rest of her life working with the Shuar tribe in the Amazon forest. Entered the Jesuits in 1597. Missionary to Goa, India. Priest. Taught theology for 15 years. Missionary to Japan. Arrested in July 1863 for spreading Christianity, he spent several months in prison before being killed. Martyr. Superior of the hospice of Saint Samson in Constantinople. Patriarch of Constantinople, ordained and consecrated by Pope Saint Agapetus in 536 to replace Anthimus who had fallen into the monophysite heresy. Led the synod of Constantinople in 536. Consecrated the church of Hagia Sophia. Subscribed to the Edict of the Emperor Justinian condemning the documents known as the “Three Chapters” for which he was excommunicated by Pope Vigilius in 551; he immediately submitted to papal authority. Born to the nobility, possibly related to the emperor. To escape an arranged marriage, and to give herself to the religious life, she made a pilgrimage to Jerusalem and then to Rome, Italy. Nun in Rome. Returned to Constantinople to give away her wealth to the poor. She then returned to Naples, Italy to make pilgrimages to the tombs of martyrs and saints. Drafted into the Italian army, he fought in World War II, was captured by the Soviets, and imprisoned in Siberia. Released after the war, he joined the Brothers of Saint Joseph Benedict Cottolengo, taking the name Luigi of the Consolata and working for 30 years with the sick and the mentally ill. Priest. Member of the Sons of the Holy Family. Secretary of his community and science teacher at Saint Peter the Apostle school in Reus, Tarragona, Spain. He was arrested on 25 July 1936 during the persecutions of the Spanish Civil War for the crime of being a priest, imprisoned on the ship Cabo Cullera of Tarragona, and then executed. Martyr. Dominican, assigned to Madrid, Spain, then Manila in the Philippines. Priest. Missionary to Japan. 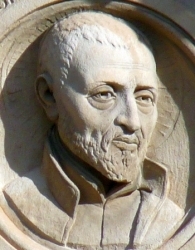 Arrested on 18 April 1623 for the crime of moving the body of the martyred Blessed Ludovico Flores, he spent 16 months of abuse in prison before being executed for remaining a Christian. Martyr. Priest. Member of the Sons of the Holy Family, and the treasurer of his community. Teacher at Saint Peter the Apostle school in Reus, Tarragona, Spain. He was arrested on 27 July 1936 during the persecutions of the Spanish Civil War for the crime of being a priest, imprisoned on the ship Rio Segre of Tarragona, and then executed. Martyr. Son of Saint Wastrada, and uncle of Saint Alberic of Utrecht. Spiritual student and Benedictine monk under Saint Boniface whom he had met as a child, and who acted as a mentor. Abbot of Saint Martin's abbey, Utrecht, Netherlands, during which it became a centre for missionaries and the home of many saints. Bishop of Utrecht for 22 years. Soldier. Literate, he was made a notary and secretary to the magistrate of Arles, France. Convert. 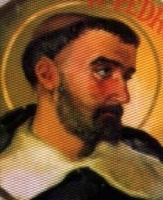 During the period of his catechumenate, Maximianus issued his decree of persecution against Christians. Outraged, Genesius threw his writing tablets at the feet of his magistrate, denounced the orders, was imprisoned, and executed. Martyr. Trappist monk. Priest. Imprisoned on a ship in the harbor of Rochefort, France and left to die during the anti-Catholic persecutions of the French Revolution. One of the Martyrs of the Hulks of Rochefort. Hunegund was drawn to religious life, but was compelled to marry against her wishes. She convinced her future husband to accompany her on a pilgrimage to Rome, Italy, and then got him to agree that she should become a Benedictine nun, receiving the veil from Pope Saint Vitalian. When they returned home, Hunegund entered the convent at Homblieres in northern France ;her ex-future husband became a priest, and served as chaplain to the convent. Martyred in the persecutions of Emperor Commodus. Friend of Saint Peter Nolasco, who urged him to join the Mercedarians; Peter did at the convent of Sant Antonio Abate in Tarragona, Spain. Dispatched to Africa in 1236 to ransom a large number of Christians who had been enslaved by Muslims. Priest, bishop and Patriarch of Constantinople from 458 to 471. Known for his learning, his biblical scholarship, and as a great speaker. Fought heresies of the period, and simony. Legend says he would not ordain a new priest until the candidate could recite the Psalms by heart. Member of the Franciscan Friars Minor (Observants). Priest. Martyr. Lifelong layman in the archdiocese of Nagasaki, Japan. Member of the Secular Franciscans. Catechist. Martyr. Founded the monastery of Atane in Limousin, France. The village of Saint Yrieux grew up around the monastery, and was named for the founder. Martyred in the persecution of Emperor Commodus. Father of Saint Lucilla. Roman military tribune. Convert, brought to Christianity by Pope Saint Stephen I. Deacon in Rome, Italy. Martyred in the persecutions of Valerian. Benedictine monk. Prior of Redon Abbey. 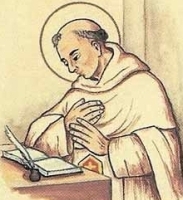 Abbot of Sainte-Croix of Quimperle, Brittany (in modern France). Evangelized in the area of Tarragona, Spain. Martyred in the persecutions of Diocletian. First century missionary to Spain; legend says he was a spiritual student of the Apostles. Bishop of Talco (Italica), Spain. Martyr. Founded the monastery of Saint Eusebius in Apt, France. Monk. Founded a monastery in Agde, Gaul (in modern France), and served as its first abbot.